This new General Motors recall affects 18,941 Chevrolet Camaros from the 2013 and 2014 model year which all of those muscle cars being built between June 9, 2013 and September 6, 2013. In these Camaros, the airbag system warning label that is affixed to the sun visor could peel off and in its absence, the driver and/or passenger might not be aware of the airbag system and not knowing about the airbag system could lead to a greater chance of injury in the case of an accident. You know…because knowing that the airbag is there will prevent the bag from hurting you at all when it hits your face at the speed of sound. 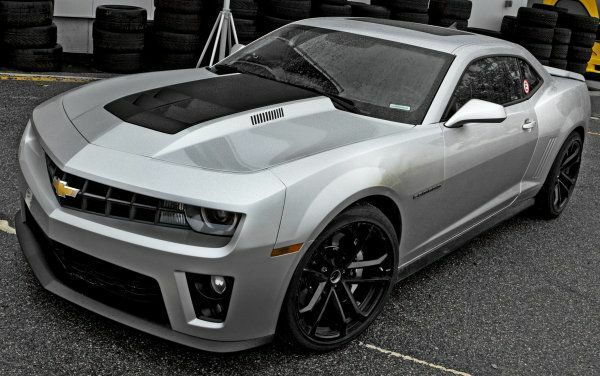 The cause for this Chevrolet Camaro recall is that once these warning labels fall off of the sun visors, the muscle car is no longer in compliance of Federal Motor Vehicle Safety Standard Number 208 which relates to Occupant Crash Protection. Along with the recall that formerly began earlier this week, General Motors issued a stop sale of these affected cars to dealerships around the country until they were all inspected to ensure that they would remain attached as expected. More realistically, this new Chevrolet Camaro recall is a product of our overly protective government and our useless legal system that allows anyone to sue others for their own stupidity. In the absence of this decal, a parent might be stupid enough to load a small child into the front seat where an opening airbag will likely do more harm than good and when the airbag opens and hurts the child, our defunct legal system would allow that parent to sue General Motors because they didn’t know better than to put their child in the front seat. In other words, this recall is about legal protection from money grubbing, ambulance changing lawyers than it is about keeping anyone safe. In any event, General Motors has begun contacting owners of the various Chevrolet Camaros affected by the recall but rather than just instruction the owners to quickly bring the cars back to dealerships, GM is asking owners to inspect the stickers on their own to make sure that they are present and that they are seemingly well attached. At the same time, GM has made it clear that any owners who are uncomfortable inspecting the stickers on their own can make an appointment to have them inspected by a dealership mechanic. The mechanic will simply inspect the warning labels to make sure that they are properly affixed and if they are not, a new warning label with the proper amount or type of adhesive will be added to make sure that this sticker stays there for years to come. I HATE those damn warning stickers. The worst I ever saw were in a Subaru Legacy I owned. I cut them off.